Minds + Machines Group Limited (AIM:MMX) announced that it has today received official approval from the Ministry of Industry and Information Technology (“MIIT”) of the People’s Republic of China for MMX’s dot VIP top-level domain. The announcement was made via the official website of the MIIT. Approval means that owners of dot VIP domain names within China can now apply for the relevant local license (“bei-an”) to allow their dot VIP domain names to be hosted in the country. MMX’s TLD dot VIP is one of only three generic new top-level domains (“new gTLDs”) to have received this approval via this MIIT announcement. The other 2 are .club and .xyz. 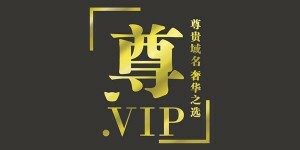 .VIP was launched in May 2016. You can read many articles related to .VIP here. We have 88a.club and 888w.club maybe they will be worth something one day-who knows. Thanks for the post and Happy Holidays. Which day we are talking about, like 2030? 2040? 88a.com has some value, but not 88a.net or 88a.info beyond few buck , so for 88a.club to have any value, would be a while, long long while. Nice to hear from an expert.